Here’s the Nonsense: Once all the evidence is in and the experts analyze the culprit we’ll know precisely why this man did such a monstrous deed so we’ll be able to stop these things in the future. 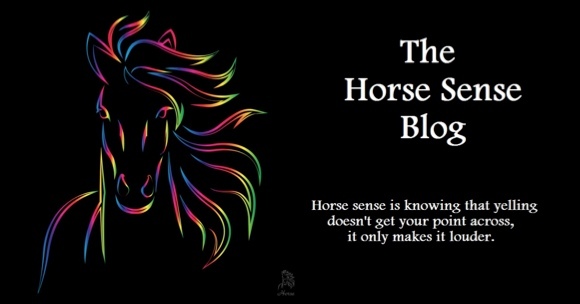 Here’s the Horse Sense: No one is asking the right questions and until we address the core underlying problem these things will continue to happen. Here in Colorado the shooting massacre this past weekend shakes our entire state, but it also raises a national question that no one is asking. Whenever a tragedy involving guns occurs there is an immediate outcry that the Second Amendment to the Constitution should be changed or redefined so that citizens can own few, if any, guns. The logic is that if the Second Amendment did not allow the ownership of guns, then these tragedies wouldn’t happen. So here’s the question I’ve heard no one ask: If the Second Amendment is to blame for massacre’s like the one here in Aurora, CO this past weekend, then why did it take two centuries for these things to start to happen? For 221 years the Second Amendment has been part of the law of our land. Weapons that could fire more than one bullet without being reloaded have been around since the mid-19th century. And yet it’s only been during the last few decades that we’ve heard of these kinds of problems. If owning guns is the cause of the problem, then why did it take so long before they started to occur? We ignore the fact that for decades in the mid-19th and even early 20th century many, if not most citizens in communities in America carried guns, yet these types of events did not occur. We ignore the fact that studies have clearly shown that communities where citizens are well armed have reduced crime. We ignore the fact that in Aurora, Colorado citizens are subject to some of the toughest gun control laws in the nation and yet this massacre still happened. Let’s set aside the fact that Chicago, which has some of the toughest gun control laws in the nation, has had 228 crime-related deaths year to date. No one wants to deal with the fact that there are severe underlying problems in our society that need to be addressed or these kinds of incidents will never go away. In my new book, No Tomorrows: How To Halt America’s Imminent Collapse And Return To The American Dream – And Why It Must Start With The 2012 Elections, I identify the 3 core problems that America must solve in order to turn our nation around and then show how to fix them. One of those problems is the breakdown of morality in our society. Morality is more than just telling a lie or doing something dishonest. Morality involves living with knowledge that there’s an absolute right and wrong that we are accountable for in our lives and acting on it. One of the things that causes a breakdown in the moral core of our society is the breakdown of the family. The tragic episode that happened in my backyard, Aurora, CO, this past weekend is an event that will take a long time to heal in our state. No words can adequately speak to the loss the families and friends of the victims are going through. No words can properly give credit to the young men who gave their lives to save the lives of others in that massacre. Contrary to what the media want us to believe, we will never fully know or understand how this happened. What I do know is that this was nothing but evil and it reminds us that evil is very real and must be taken seriously. If we are going to deal with evil we must be willing to fix the things that are breaking down in our society in order to prevent them in the future. Big problems can often be avoided if we catch the problem before it gets too large. Fixing the moral core of our nation will change the value system adopted by many in our culture back to one that respects life and authority and ultimately returns our society to one of respect and compassion for life and safety for our communities.